On the look-out for a new car and thinking about a hybrid? They have certainly come a long way over the last few years, and there are quite a few options out there. Most automakers now have at least one hybrid available in their lineup, and they have some great benefits over traditional cars. Today we will count down the top three reasons you should consider a hybrid vehicle in 2019. Hybrid cars use up to 30-60% less gas which makes them very fuel efficient and can save you tons of money in fuel over time. 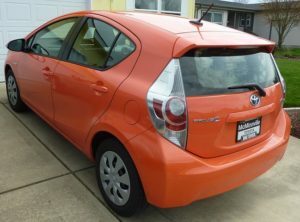 They are also amazing for city drivers, getting better fuel efficiency in the city than on the highway. One day a woman, let’s call her Emily, walks into a dealership. She wants to purchase a vehicle. As a high earning professional, she has the means to buy the car she wants. Talking with a sales-person, she starts to chat about her wants and needs. Eventually after looking at a few cars, going for some test drives and chatting some more she settles on a vehicle. What is an automotive broker and how can they make your next vehicle purchase effortless? 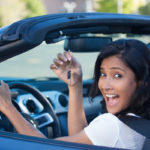 Chances are if you have always purchased a vehicle the old-fashioned way you may have never heard of an automotive broker. This may even be the first time that you have read the title, ‘automotive broker.’ Without realizing it, my friend, you might have been doing things the hard way. 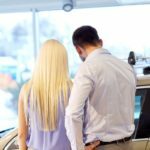 After reading this post, you will understand more about what automotive brokers do and WHY you may choose to use an automotive broker over a more traditional route.